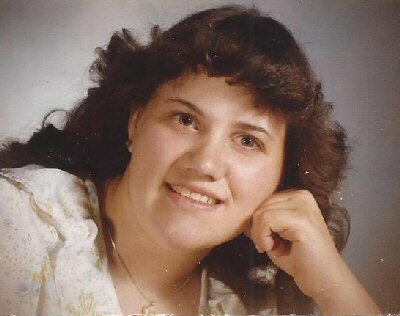 PHOENIX, NY – Kathleen Ann Lennon, 46, of Fairway Circle, Baldwinsville, passed away on Tuesday January 15, 2013, at Upstate University Hospital, Syracuse. She was born on July 25, 1966, to her loving parents, Mary Ann (Upcraft) and Harry J. Lennon. She was a 1984 graduate of G. Ray Bodley High School, Fulton, NY. Kathy was a library clerk for more than 24 years at Fulton Public Library. She also was a substitute library clerk at the Central Square Public Library. She was predeceased by her brother, David J. Lennon, on March 17, 2012.
her two favorite companions, Patches and Puck. A celebration of life gathering to be announced at a later date. Contributions to: National Kidney Foundation, 731 James St., Room 200, Syracuse, NY 13203 or to Donate Life at CNY Eye & Tissue Bank, 517 E. Washington St., Syracuse, NY 13202. Allanson-Glanville-Tappan Funeral Home of Phoenix has charge of arrangements. My sincere condolences to her parents. Cathy was a terrific friend. She was a great person and always had a glowing smile. We had many great times riding horses and racing down by the airport and ripping up and down the Howard Road. How we had great fun on trail rides with 4H. She will be missed greatly. I am so sorry to hear the news. My sincere condolences. So sorry to hear of the passing of Kathy. She was a fun and thoughtful person. She always had a smile on her face no matter what. She always thought the best of the world and the people in it. You will be greatly missed. To Kathy’s parents.. I am truly sorry for your loss.. I am Kathy’s old high school friend.. we lost touch after I left Fulton years ago.. She was truly one of a kind… you did an awesome job raising her, she was a very good and kind hearted person.. and a great friend… God bless you..
Kathy, Dave, my sister and I were part of a group of kids that hung out many a Friday evening together while our dads played summer softball games. She was a gracious older friend to my sister and I, and I remember many fun evenings — and days — together. We shared a special bond that the kids of teachers have. Please know I am sending many warm thoughts to Mary Ann and Harry and the entire Lennon family.